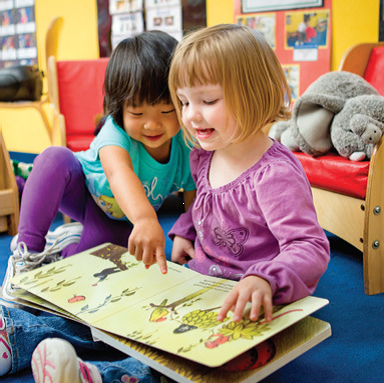 A new study from La Petite Academy and her sister schools reveals that the company has achieved three times growth in school readiness among its Pre-K students during the fall 2015-spring 2016 academic year. This is the second consecutive year that the Learning Care Group’s schools – which include Childtime, The Children’s Courtyard, Everbrook Academy, La Petite Academy, and Tutor Time – have tripled growth in the number of 4-year-olds able to master the necessary skills to be successful in kindergarten. These results demonstrate that through an exclusive customized approach to intentional curricular planning, Learning Care Group is consistently able to meet children’s individual developmental needs – from classroom to classroom, throughout its portfolio of schools. This exclusive process was designed in partnership with Assessment Technology, Inc. – a leading provider of valid and reliable assessment, curriculum and reporting services, with more than 500 clients nationwide. Leveraging data on each child’s progress, LCS enables teachers to create developmentally appropriate lesson plans from a comprehensive bank of more than 6,000 learning activities designed to build specific school readiness skills. The study of 6,557 4-year-olds at 753 Learning Care Group preschools nationwide noted three times growth from fall 2015 to spring 2016 (from 19 to 64 percent) in the number of children who were at an advanced level for mastering school readiness skills. These results echoed the findings from the prior year’s study – with twice as many students and schools as in the original assessment. Similarly, the research showed comparable gains specifically for mastering language skills and math skills over the school year. The study also indicated that the number of Pre-K students achieving advanced levels in social and emotional readiness had doubled over the year. The research showed even greater gains for children enrolled in Learning Care Group schools for two years: In fall 2014, 5 percent of Preschool students were at an advanced level of school readiness. By spring 2016, 82 percent of those children – now Pre-K students – had reached the advanced level. Ready for kindergarten? Click here to find out more.